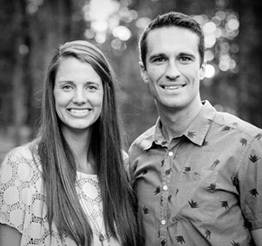 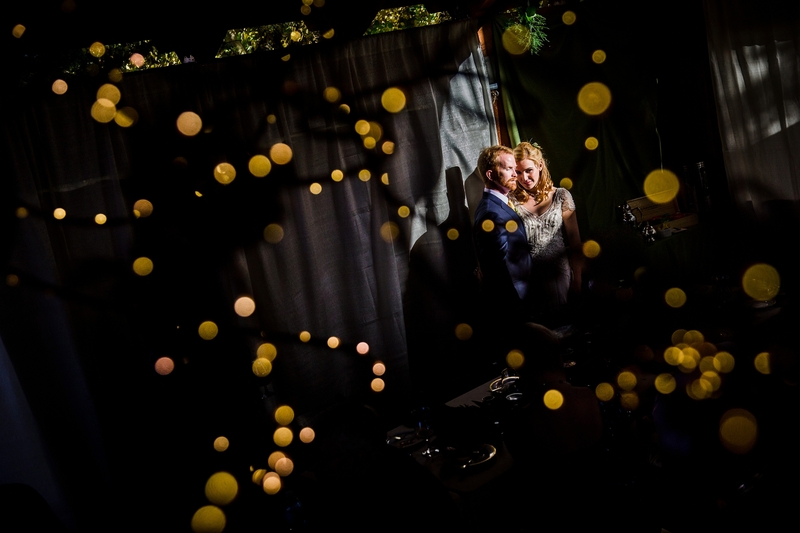 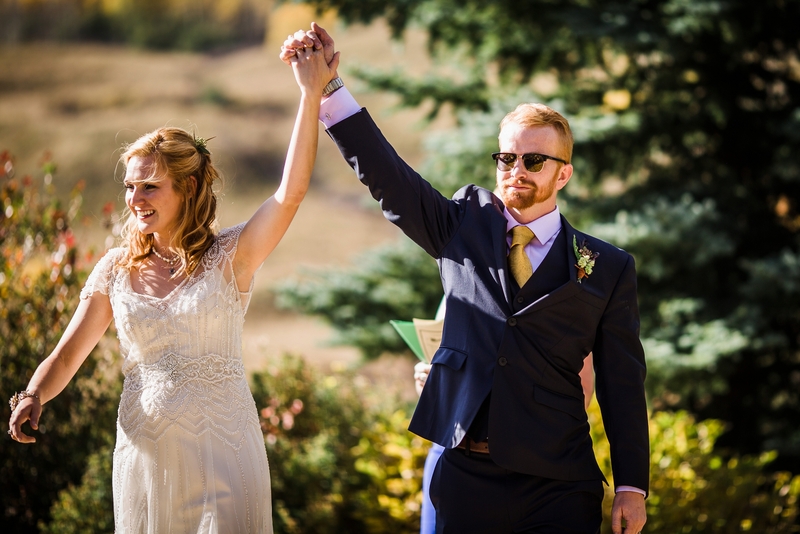 Marc & Jillian wanted to share two things with their dearest friends and family on their wedding day. 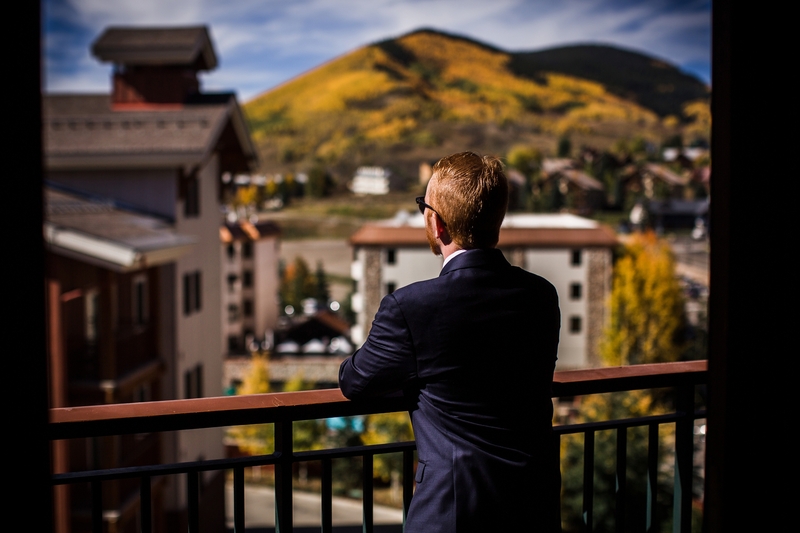 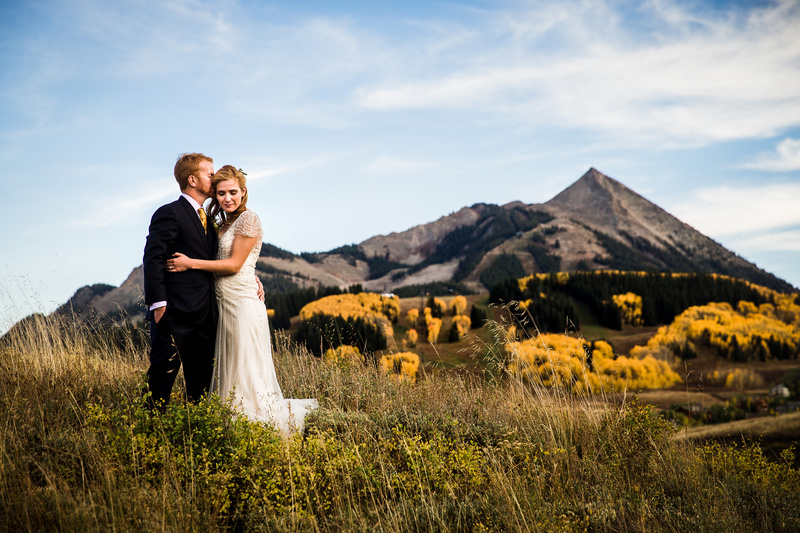 The love they have for each other and a good time in one of their favorite Colorado mountain towns, Crested Butte. 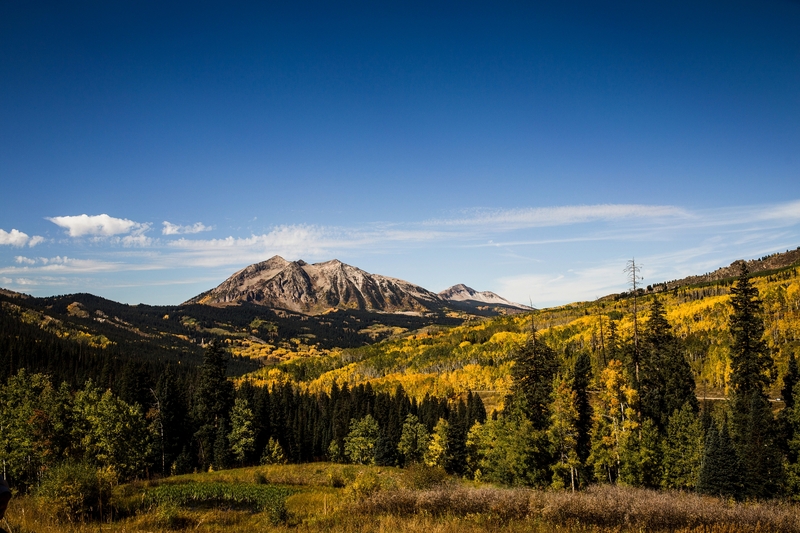 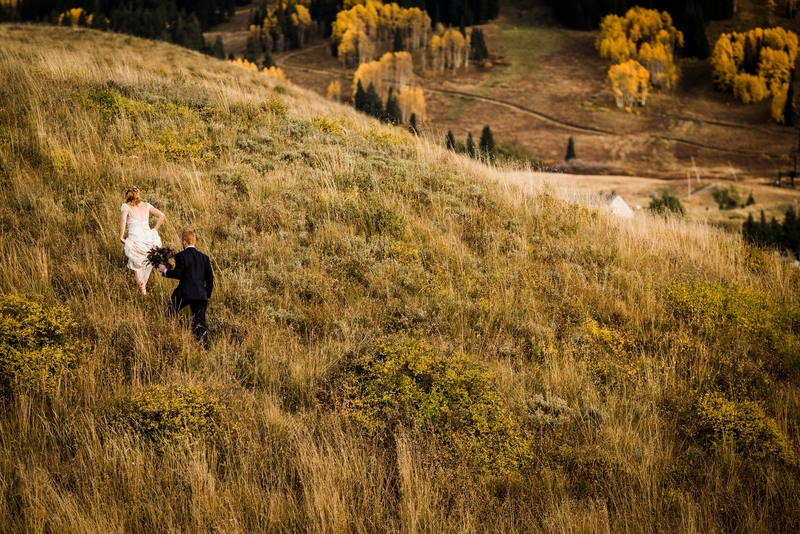 Having grown up snowboarding, fishing, and exploring the Gunnison area, they’ve grown to appreciate all four seasons, but one of their favorites is fall, which you’ll understand why after running through the pictures below. 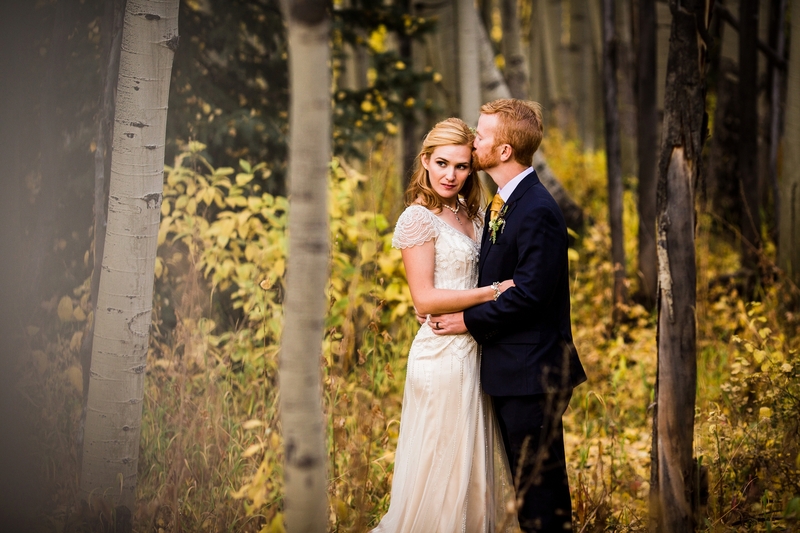 Having to work around the rain for their downtown Denver engagement session, mother nature repaid them on their wedding day. 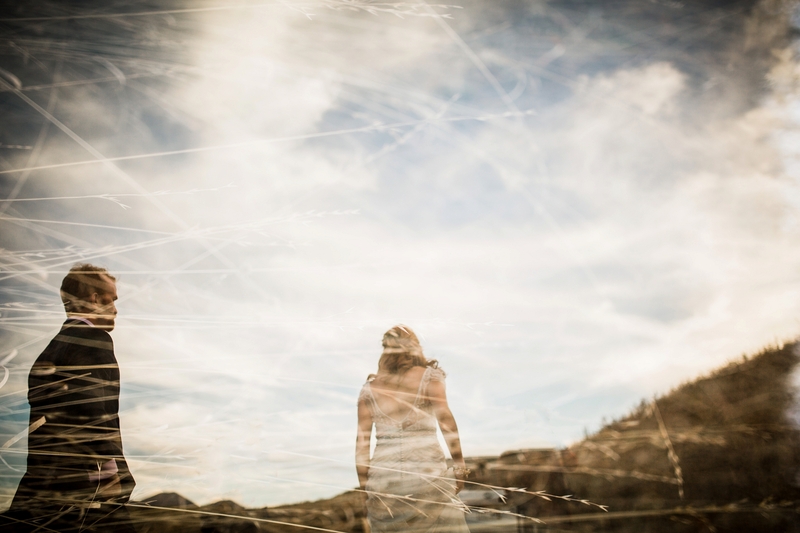 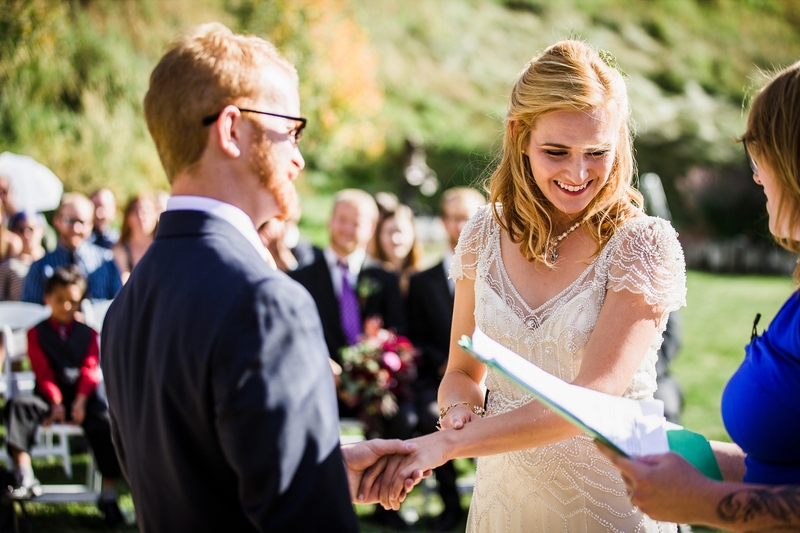 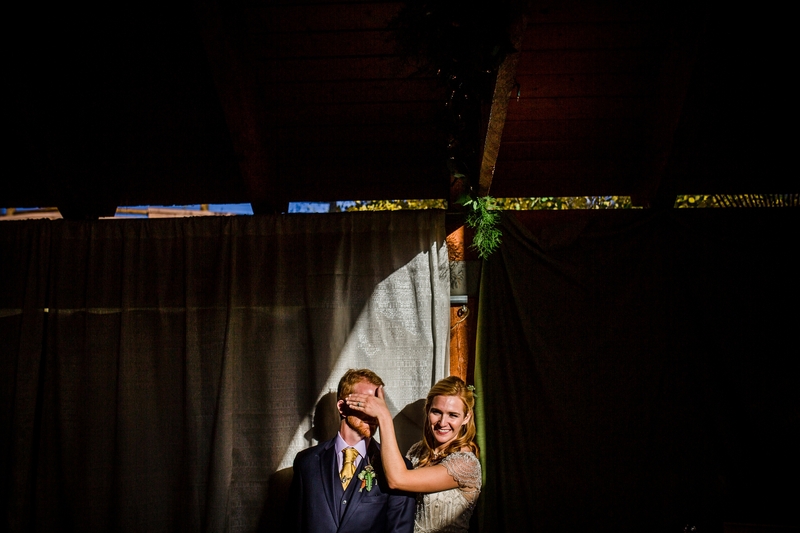 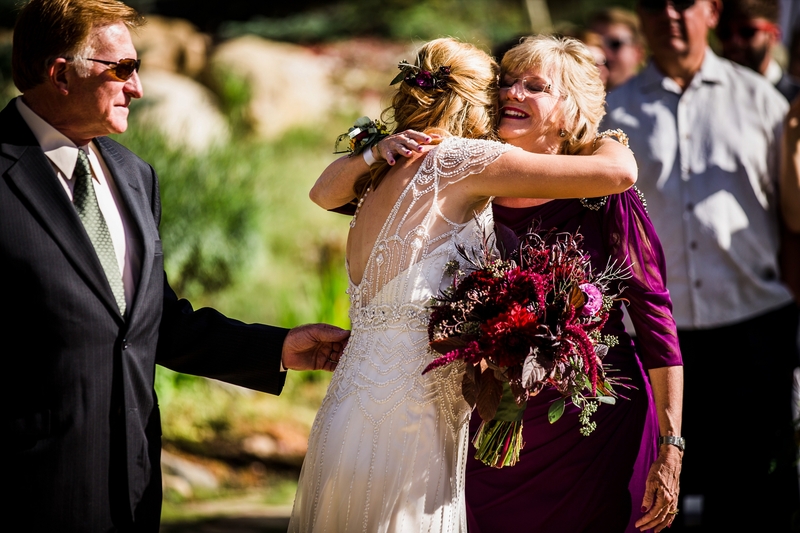 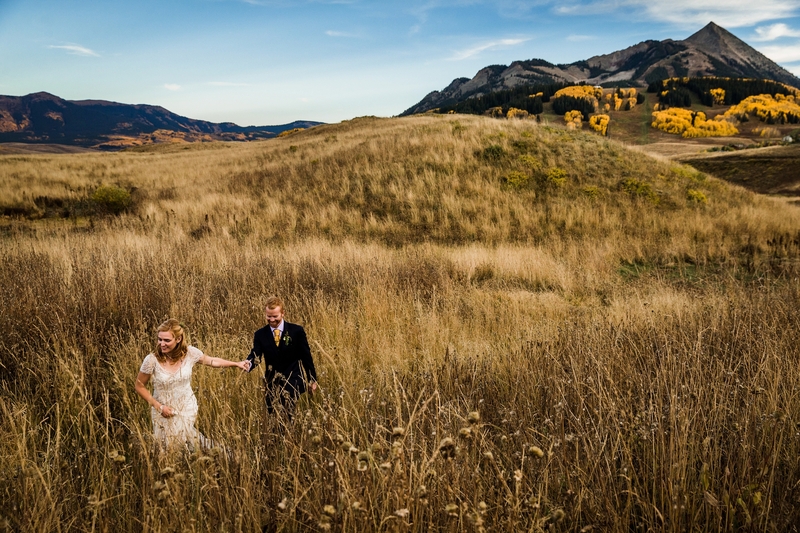 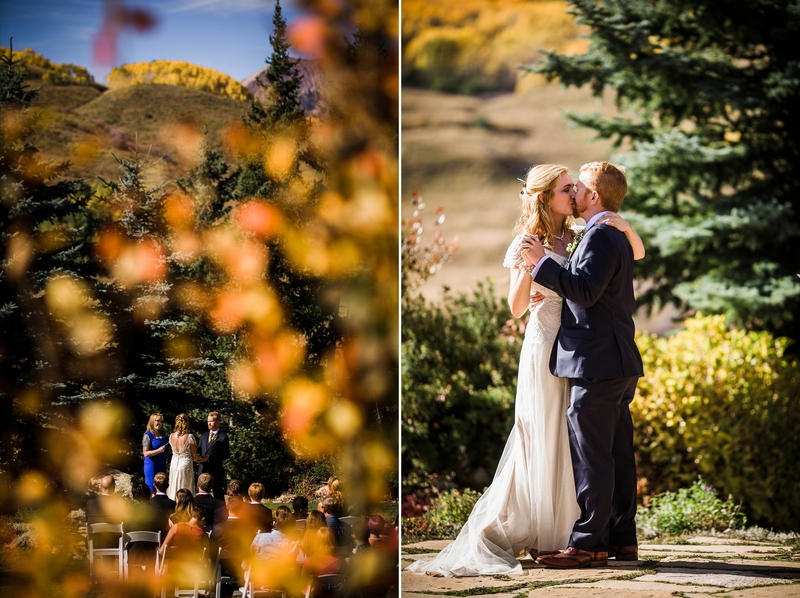 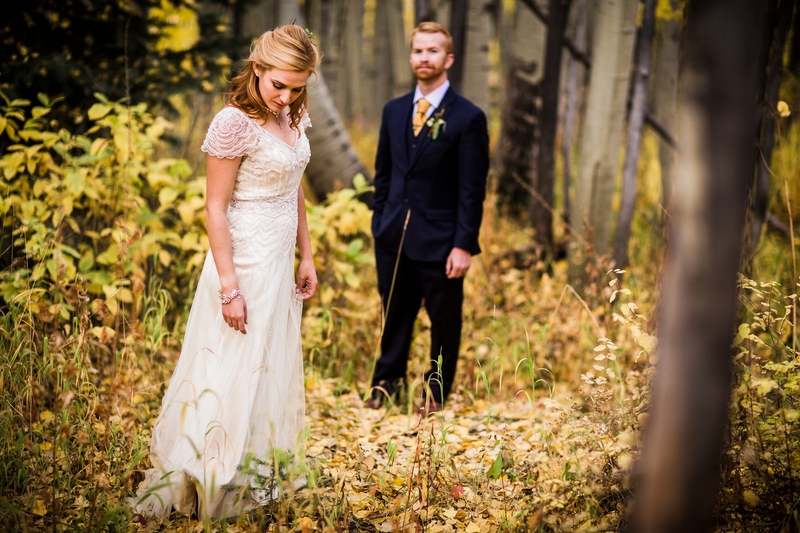 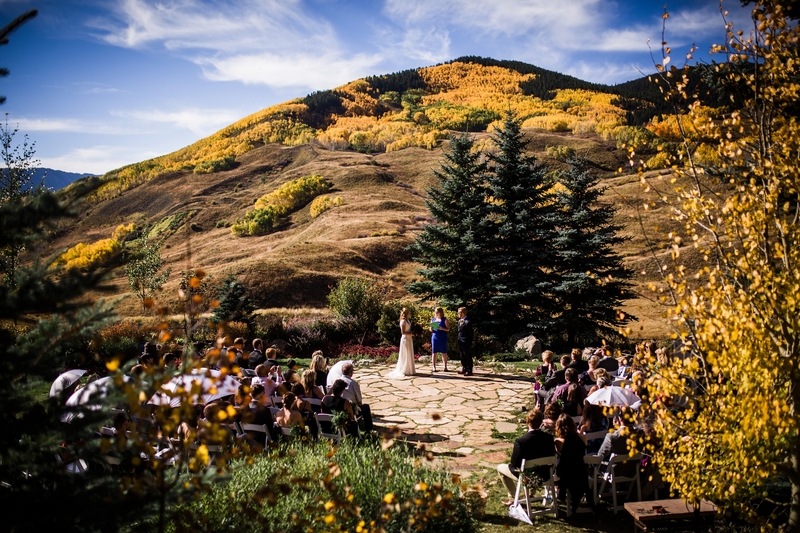 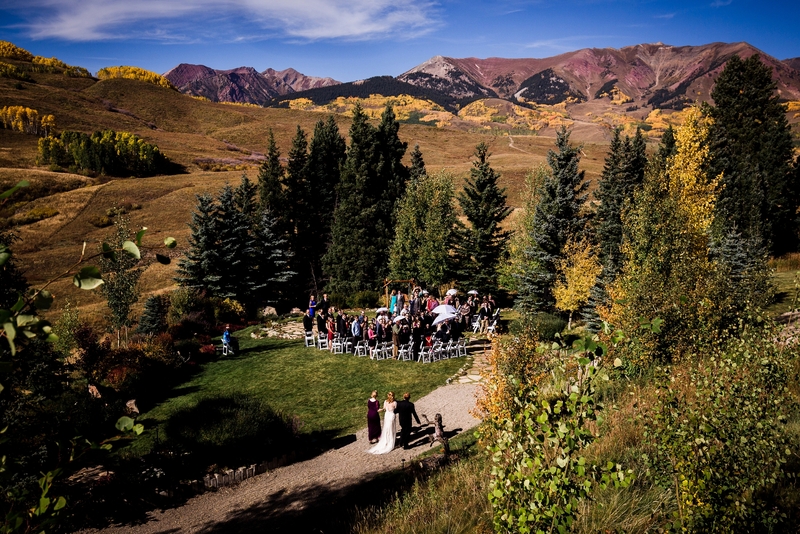 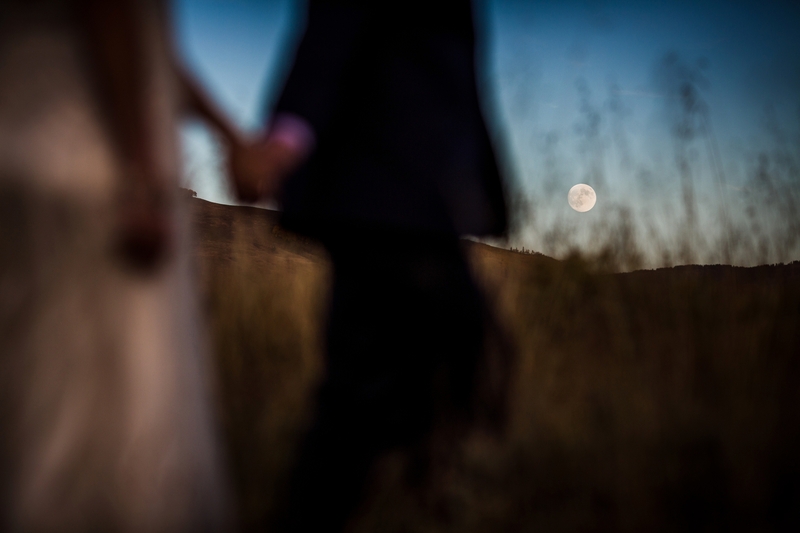 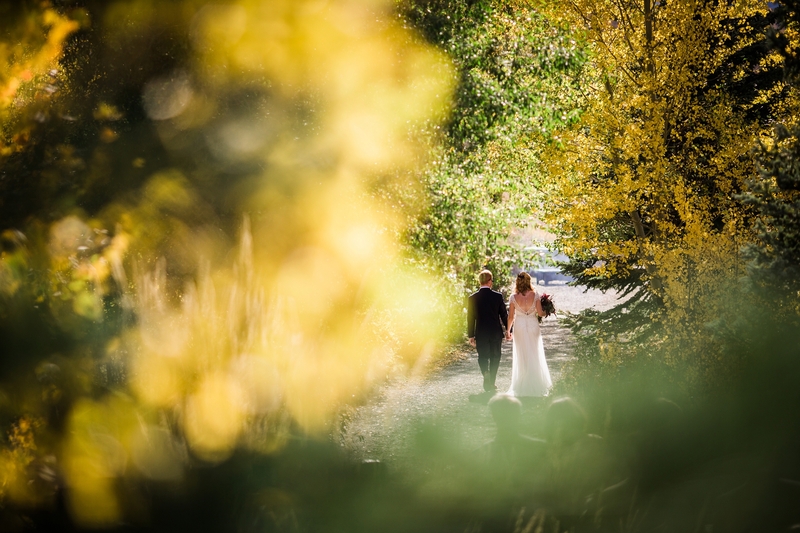 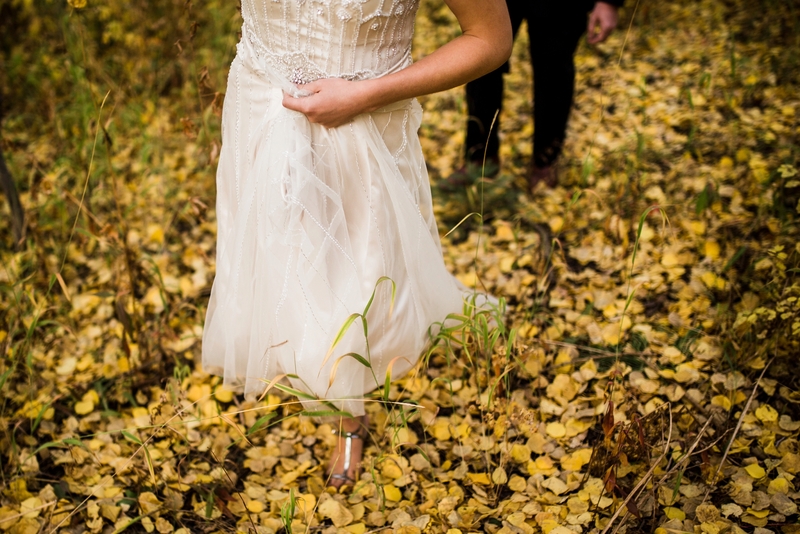 Sunny and 65 degrees made for a perfect day to get married at the Mountain Wedding Garden in Crested Butte. 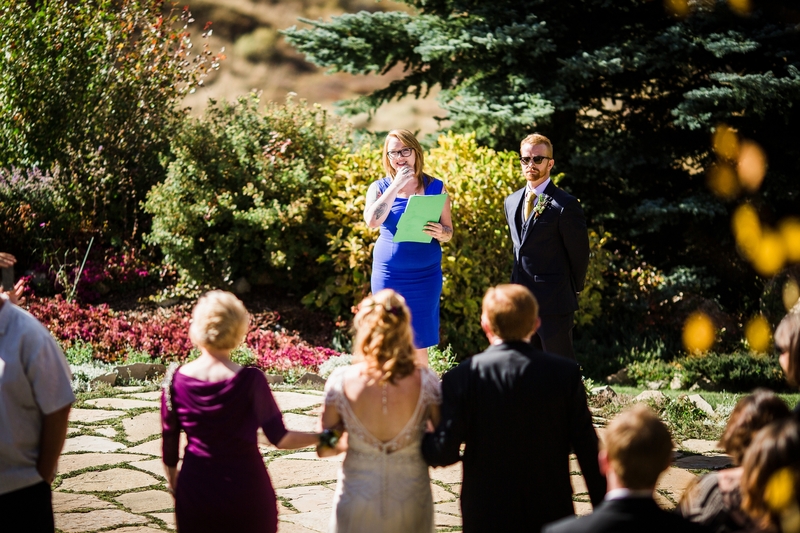 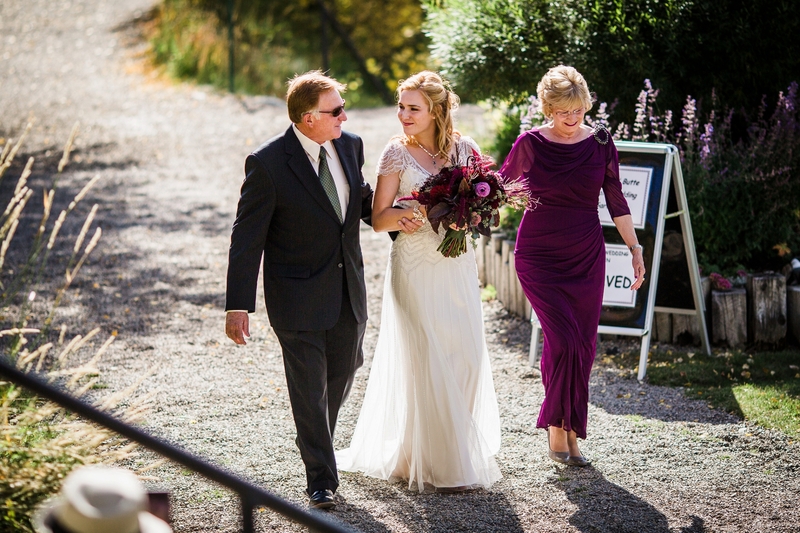 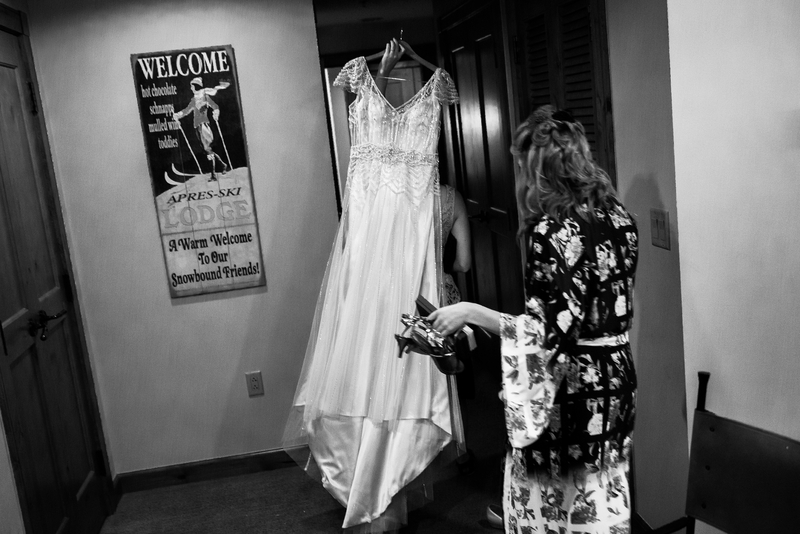 Jillian proceeded down the isle with her parents on each arm to the beautiful music of an inverted steel drum. 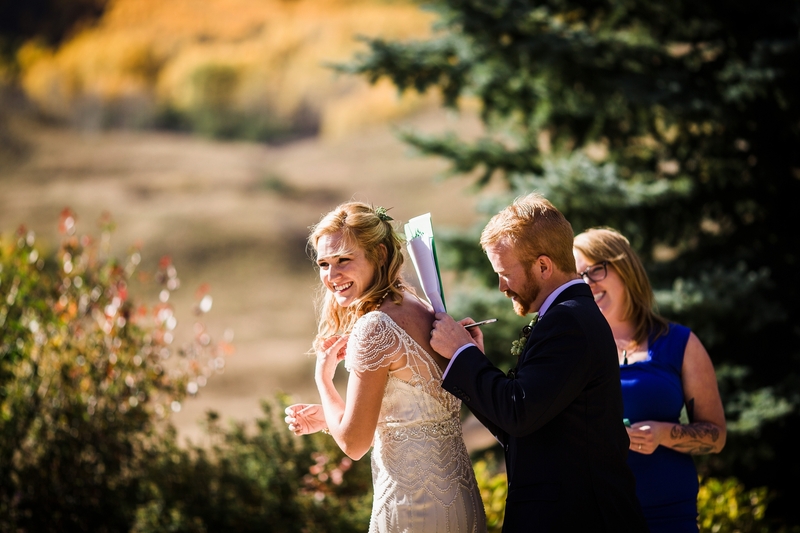 After reciting their vows, signing the marriage license on each other’s back, they walked back down the isle as husband and wife. 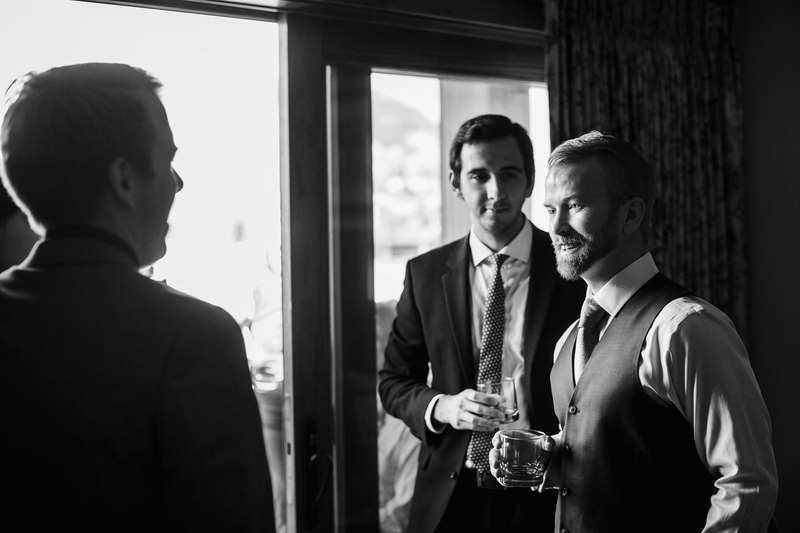 Marc, being a expert brewer of delicious beers, was kind enough to share a few kegs of his favorite ales. 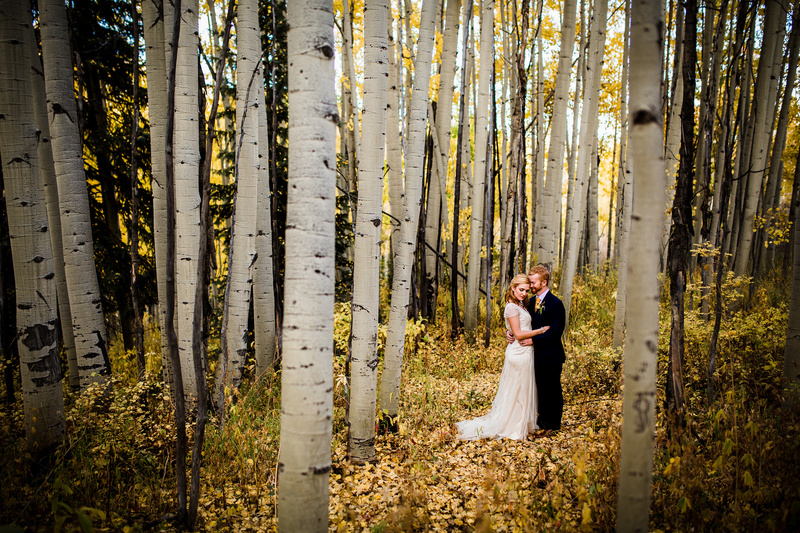 After a few pints, we grabbed both him & Jillian for some portrait time in the beautiful Aspen groves that surround the Crested Butte valley. 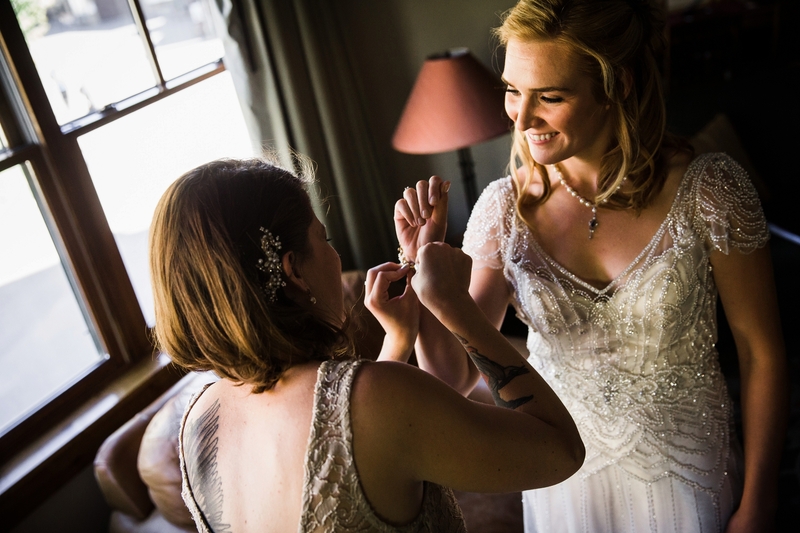 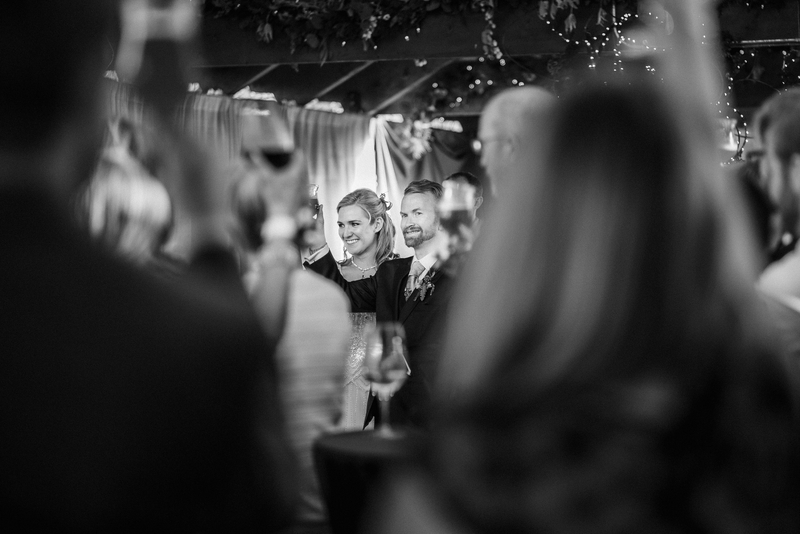 After wrapping up the ceremony and reception formalities, the couple decided to continue the party at the Red Room in downtown. 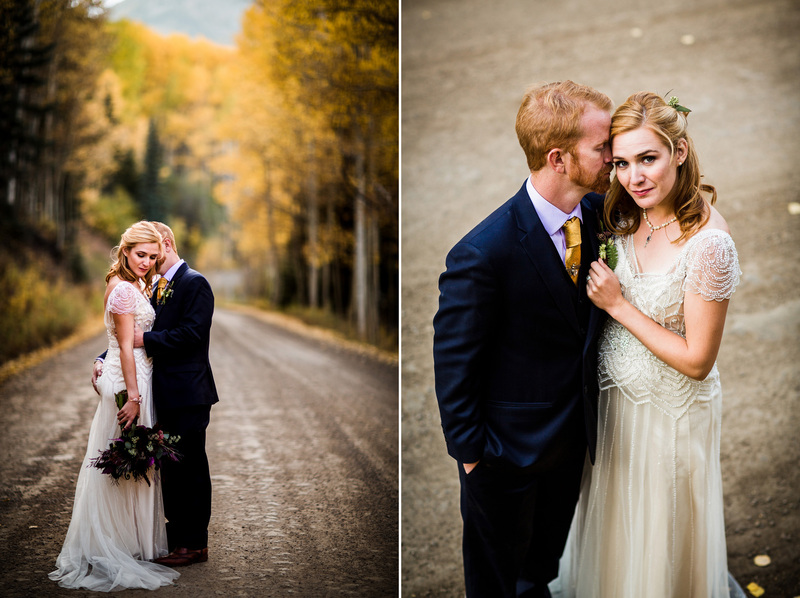 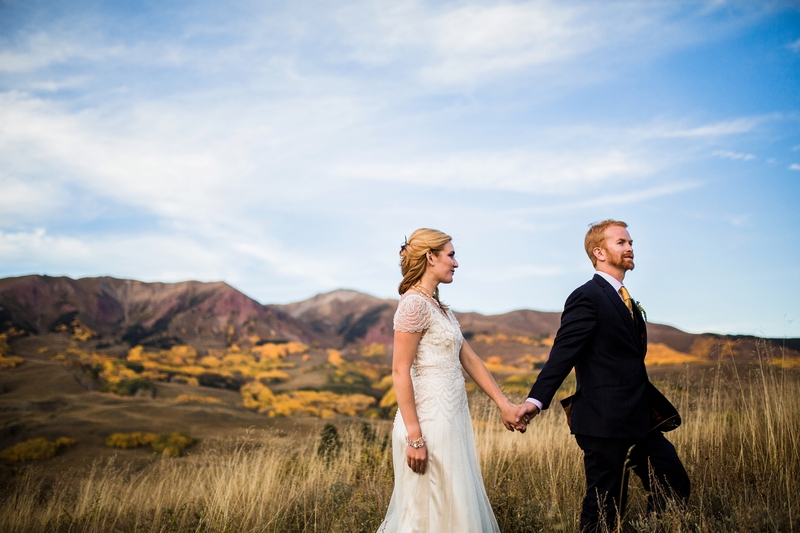 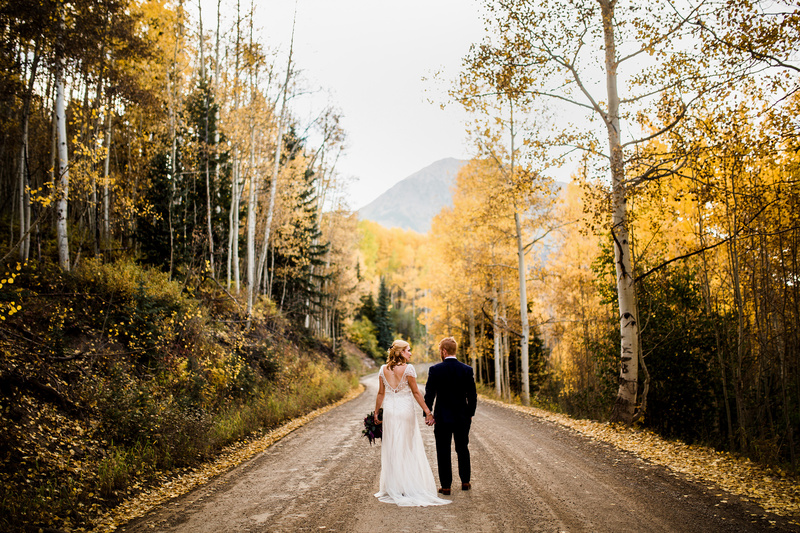 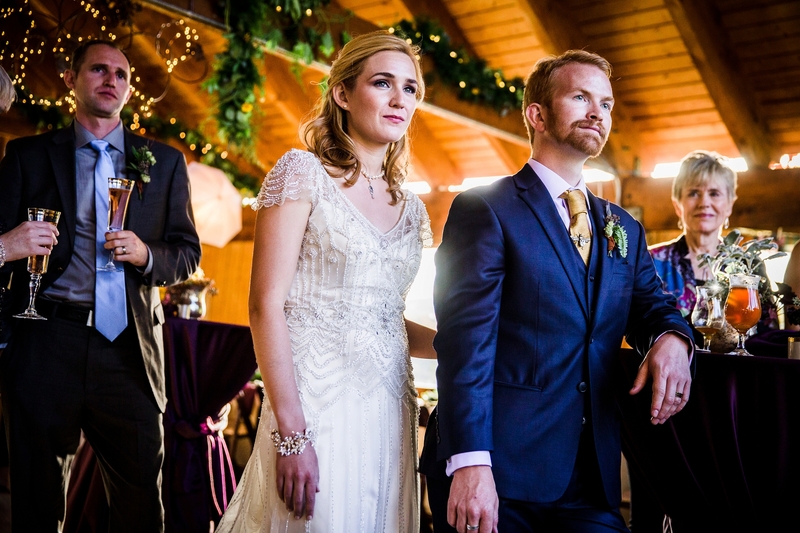 We could not have asked for a more beautiful wedding in Crested Butte and are so glad to have met these two unique individuals.